Welcome. 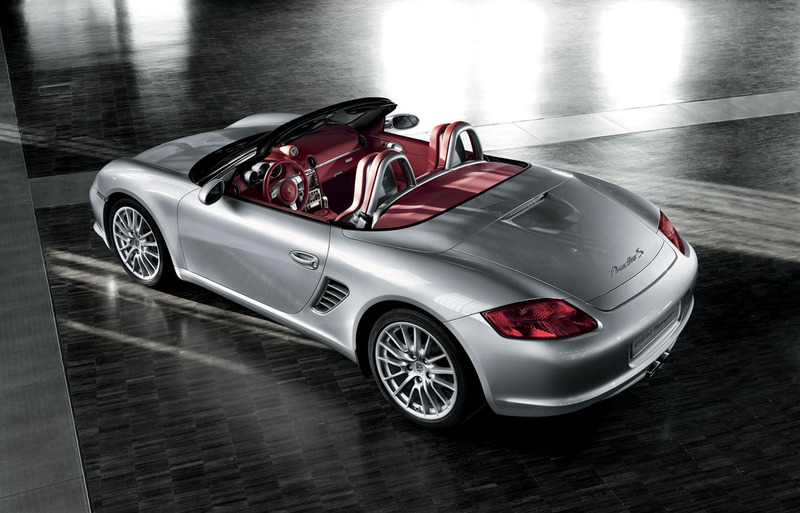 If you're finding this page via Google, you might also enjoy this page on the 2011 Porsche Boxster Spyder. Or this video of the 2011 Porsche Boxster Spyder. Porsche today released additional pictures of the Porsche Boxster RS 60 Spyder in preparation for its German debut on April 4th at the 18th Auto Mobil International in Leipzig (full press release follows my post). Think about this. This special edition Boxster is designed as a tribute to the Porsche 718 RS 60 Spyder that won Sebring 48 years ago (that's a picture of it racing below). 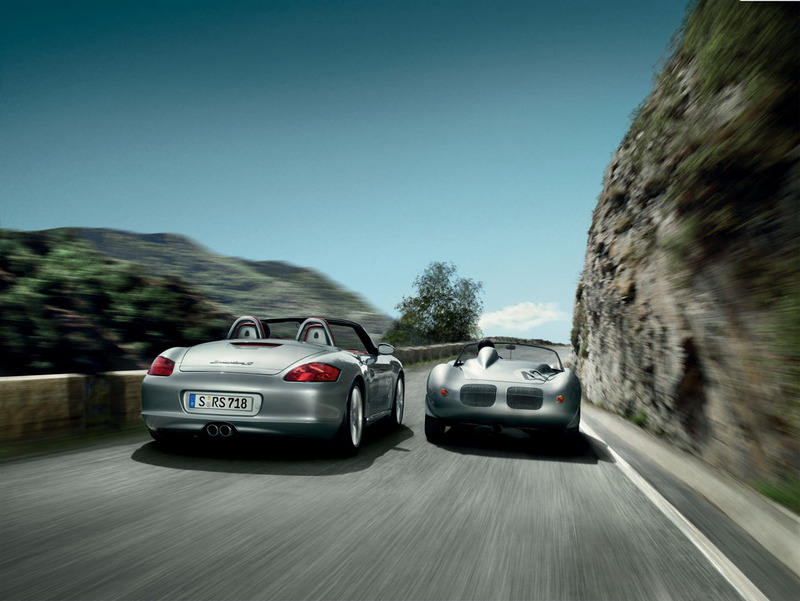 Is a Boxster, regardless of the styling changes, really a fitting tribute to this car? I have personally had the great good fortune to drive in and experience an original RS 60 up close and personal (the one featured in the image to the left). The original RS 60 was basically a modular tube frame with aluminum and sheet metal panels surrounding it. I'm talking no insulation, exposed fuel and brake lines, a few basic switches and one of the biggest Tachometers you've ever seen. This particular car stayed true to its provenance (it had originally been a winning race car driven by none other than the legendary Bruce Jennings, a famous US racer who won more races with a Porsche than any other driver in the world between 1959 and 1969) and continued to race and win in Porsche historic events. The new Boxster, in my eyes, just doesn't live up to this legacy. Look at the pictures yourself and you be the judge. Let me know what you think. Stuttgart/Leipzig. Dr. Ing. 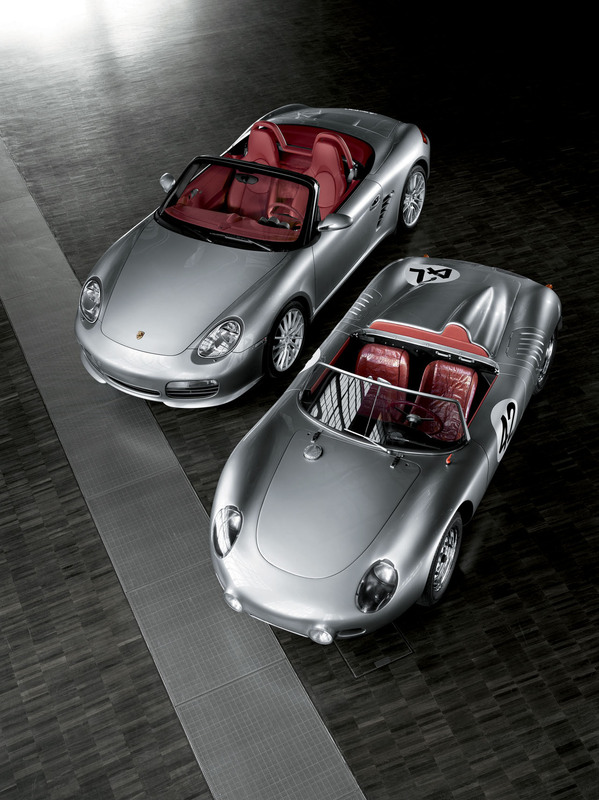 h.c. F. Porsche AG, Stuttgart, is presenting the new Boxster RS 60 Spyder in Germany. From April 4, the most recent model in the successful Boxster series will be celebrating its first home appearance at the 18th Auto Mobil International (AMI) in Leipzig. The city is home to Porsche’s second production location, complementing the main factory in Stuttgart-Zuffenhausen. At the motor show there are other highlights to be appreciated, too: the innovative power train of the future Cayenne, with its Full Parallel Hybrid drive giving particularly low fuel consumption, and the Porsche RS Spyder racing car. With eight overall wins in the American Le Mans Series (ALMS) in 2007, the RS Spyder has proved itself as the racing car with the most international overall victories to have been designed and built in Germany. Moreover, in its triumphal progress through the USA, the RS Spyder was using the especially environmentally friendly E10-fuel which contains ten percent bioethanol by volume. By contrast, the newest version of the mid-engine two-seater Porsche Boxster is reminiscent of the great racing triumphs of the 1960s. 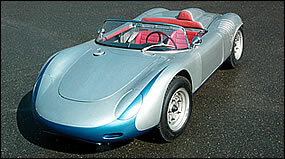 The RS 60 Spyder is a vivid reminder of the Porsche racing era of the ’sixties in color, shape, fittings and philosophy. The Boxster, which enjoys the full power of 303 PS (223 kW), thanks to its sporting exhaust system, holds the promise of correspondingly sporty driving dynamics combined with Porsche Active Suspension Management (PASM) as standard equipment, and 19-inch wheels. The modern Roadster in ’sixties style comes luxuriously equipped, and – in commemoration of the year 1960 when its ‘role model’ and predecessor, the Porsche 718 RS 60 Spyder, first made its appearance – production is limited to a series of 1,960 vehicles. Porsche will be giving a privileged insight into its development http://presse.porsche.de/activities with the Cayenne Hybrid, whose innovative drive train can be seen in Leipzig at the AMI. The emphatically sporting all-terrain vehicle will be available within the present decade as a “Full Parallel Hybrid”. This particularly efficient Hybrid system has an electric motor placed between the internal combustion engine and the transmission. The Hybrid drive offers not only maximized fuel economy, but also the additional possibility of driving in a completely emission-free, electrically-powered mode. Once again, the Porsche factory in Leipzig has its own information counter at the exhibition stand. There, visitors can book factory tours, reserve self-drive or accompanied drives in a Porsche on the works’ own running-in and test track, or can glean general information on Porsche’s activities in Leipzig. From 2009, a second Porsche model will be taking shape at the Leipzig works alongside the Cayenne. The new four-door Gran Turismo Panamera will then be manufactured at the Porsche factory, which meanwhile will have been extended and oriented towards the newest production methods. Two Webcams are transmitting live pictures from the Porsche stand on the Internet at www.porsche.com. Porsche can be found at the AMI in Hall 5. About 270,000 visitors are expected at this year’s auto show, which is open daily April 5 to April 13, from 9:00 to 18:00. The Porsche press conference will be held on Press Preview Day, April 4, from 13:00 to 13:15 at the Porsche stand. Am I having a brain fart, or wasn’t this RS60 Spyder “introduced” a couple or three years ago? ?